• 2 added grommet holes along the bottom to use with the Universal Retention Kit (sold separately, see link below) for holding Tourniquets and similar items. • Rear attachment Velcro now covers the entire back side of the Chassis to create the greatest hold with plate carriers when worn as a placard. The Mk4 Chassis is designed to be extremely efficient, modular, and lightweight. The Micro Fight works seamlessly with our accessories suite, which offers nearly endless configurations. The Micro Fight features soft loop Velcro in both pockets to enable you to put mission essential items where you want them based on your individual needs. The improved profile allows for the use of six 5.56 x .45 style magazines or four 7.62 x .51 magazines or any combination of rifle and pistol magazines. The 5” x 9” field of hard loop Velcro on the back of the rig allows for solid integration with accessories, such as the SACK Pouch or Expander Wings. The larger Velcro field also allows a solid integration onto plate carriers, such as the LV119. In addition to the larger Velcro field, the MK 4 also allows for sub load integration of a tourniquet utilizing the two integrated grommets and our Universal Retention Kit. 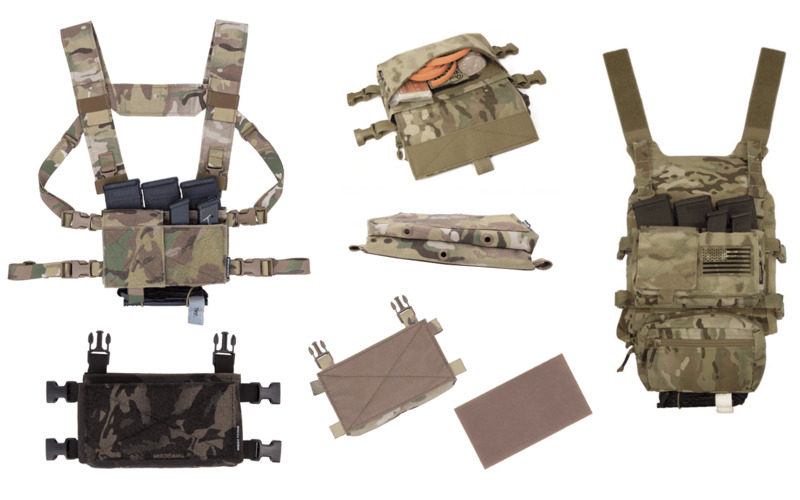 The Micro Fight Chest Rig sports a host of accessories like no other system. The user can select from any of our accessories to meet operational requirements. The platform is lightweight and small while still allowing you to carry multiple types of munitions and equipment. Examples include rifle and pistol Magazines, 37/40mm grenades, flash-bangs, multi-tools, flashlights, medical supplies, and breaching equipment. 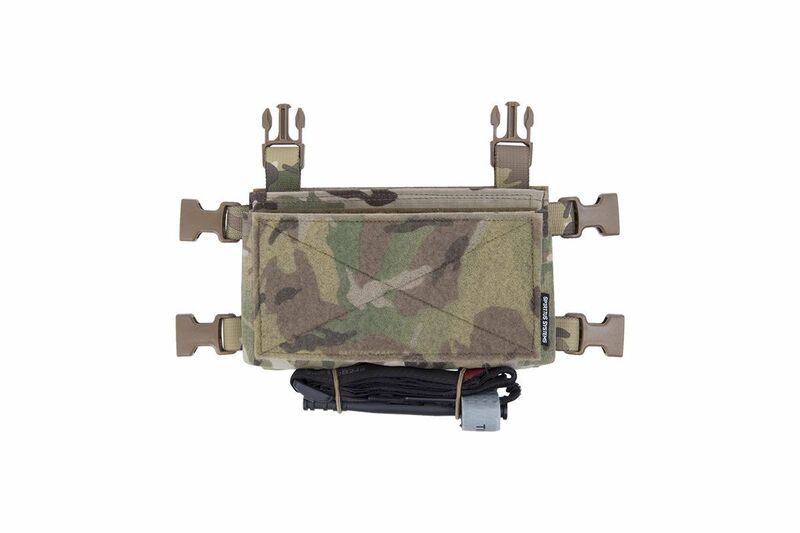 The Micro Fight Chest Rig was designed to perform as a stand-alone system. It can be configured for wear in low visibility environments that require minimal printing through clothing with maximum equipment storage. It can also be configured for high visibility operations where a full spectrum of equipment is required. The Micro Fight Chest Rig was designed to work seamlessly as a "Placard" for plate carrier systems. Simply remove the 1 inch side release buckles and attach the system via the hard loop Velcro located on the back of the system to you plate carrier. This configuration allows for profile expansion or reduction as mission requirements change. NOTE: The Mk4 Chassis is part of the Micro Fight Chest Rig System. This item does NOT include shoulder straps, back strap, half or full flaps, magazine inserts, or any other accessories. Additional components are required for proper use. If running as a stand-alone system, shoulder straps, back strap, magazine inserts, and possibly full or half flaps are needed. If running on a plate carrier, flap(s), and magazine insert(s) are needed. NOTE: Chassis only. Some images shown with optional accessories, all sold separately. Tourniquet and Universal Retention Kit to attach it are sold sperately.